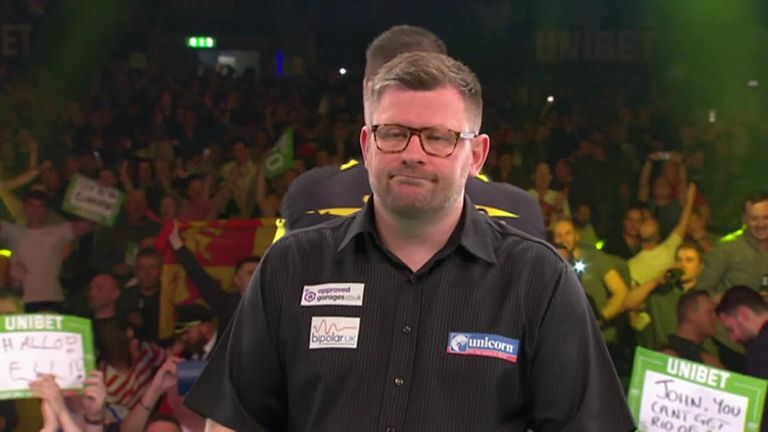 "The plan is to beat Mensur [Suljovic next week], give him nothing, and go above him"
Gurney was held to a 7-7 draw with James Wade leaving him in sixth place, but level on points with Gerwyn Price who currently occupies the fourth and final spot required for play-off qualification. "The plan is to beat Mensur [Suljovic next week], give him nothing, and go above him," Gurney told Sky Sports. "If I go from now until the end of the season losing [no more than one] game, then I'll be happy. One game, I'll afford myself that. "Hopefully I can make it to The O2." 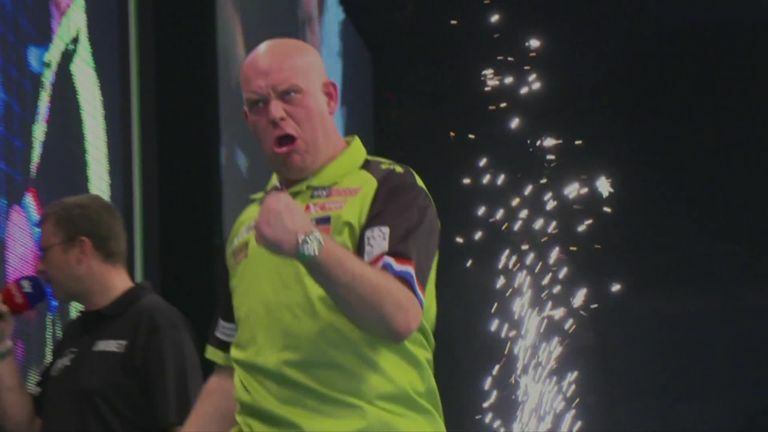 Five weeks remain until Premier League Darts crowns its 2019 champion in London on May 23. Gurney is relishing the closeness of the tournament, saying: "One week you hit a double, the next you miss it by two millimetres. "I played last year but it is more interesting this year. We're all still fighting for something. Three-quarters of the way through last year we all knew who would be in the top four. "I'm happy to be in the mix. Next week I need two points against Mensur." Gurney claimed silverware at the German Open earlier this year and believes he is in peak form. "I lost the Pro Tour final to Dave Chisnall. I could have been sitting here with a Pro Tour and a European Tour win. The way that this season has gone, I'm more than happy," he said. "I'm playing better than I did last year. I'm over the moon."